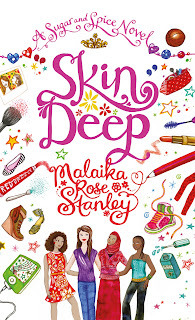 Skin Deep is the first book in a new series about four girls which will follow their friendships, families, and problems. Thirteen year old Destiny, the subject of this first book, is pretty and confident, as well as a talented cello player. Destiny has the usual hurdles of young teenhood, a crush on a boy at school, confrontations with class bullies, but her life is pretty sweet. In fact she wants to enter the Bright Sparks competition, a beauty pageant that values talent and brains as well as good looks to prove she is more than a just a pretty face. But Destiny’s mother – an ex model well aware of the pitfalls of beauty competitions - doesn’t approve. But Destiny is feisty – perhaps not as feisty as cousin Keisha who will feature in book two – and with the help of friends and neighbours raises the entrance fee and enters independently. Then out of the blue, confident, Destiny is struck down with Bells’ Palsy. The illness means her face is semi paralysed and Destiny’s world crumbles.The novel follows Destiny as she learns to cope with her new self image and put her life back together. 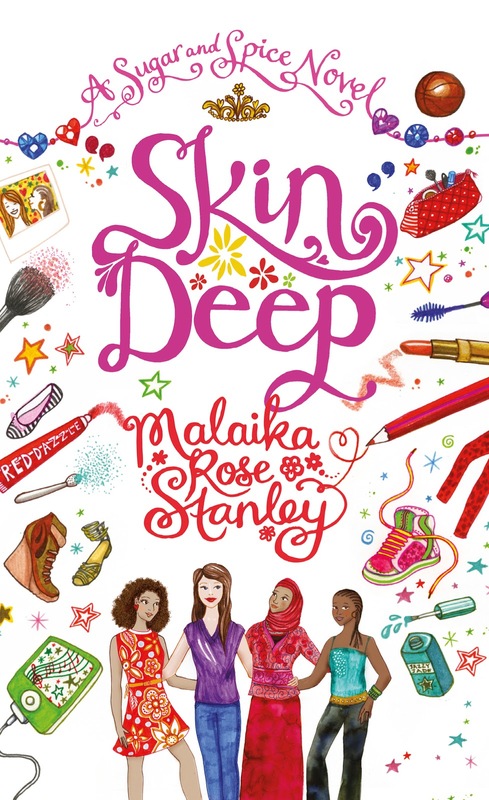 Skin Deep is a perfect early top Juniors, or lower Secondary school read. It is just right for girls who love the younger range of Jean Ure, Karen McCombie, or Jacqueline Wilson novels. It’s a light, quick, read, but with enough depth to make the reader laugh and cry. The ending moved me – a cynical nearly fiftysomething – to happy tears. You might be thinking you’ve read many books where a pretty, feisty, heroine, with the help of her friends, learns to deal with whatever life throws at her. True, but it’s a theme we love reading about and this story reads like a dream and zips along beautifully. And the setting and characters mark this book out as head and shoulders above the pack. The writer has a lovely light touch so that the Birmingham setting is invoked just enough, that the friends all have clear individual characters and that Destiny is likeable and believable. It’s well written and warm hearted and would make a perfect back to school present for a Year 5,6, or 7 girl reader. Did I mention the cover is pitch perfect too? THANK YOU, CATHERINE FOR YOUR GUEST REVIEW! Catherine's new novel BRAVE NEW GIRL (Frances Lincoln) is published on 11th November 2011. Sounds fab.I will be recommending it to my Year 6 girls tomorrow. Good luck with the series maliaka- it takes a lot of talent to pull of effortless warmth and feistyness!